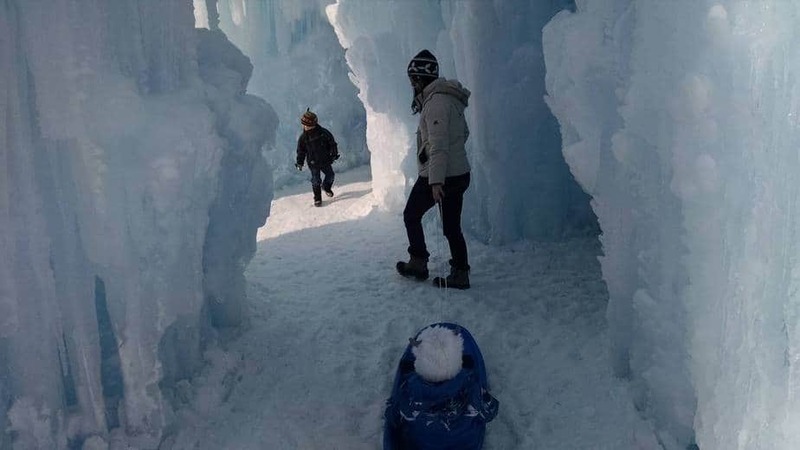 Ice Castles was founded by Brent Christensen, a Utah father of six who was looking for ways for his family to enjoy the outdoors together, even in winter. He created an ice cave in the front yard of their home, which ultimately brought out more than just his own children. Ice Castles is now an internationally renowned experience with six locations in cities across the United States and Canada and growing. Lake Country Family Fun has confirmed with the Ice Castles Marketing Director that Ice Castles is coming to Wisconsin in 2018/2019 and specifically LAKE GENEVA!!! Get excited! 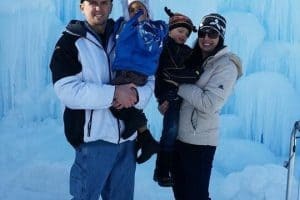 Ice Castles is a great fun family time. The Ice Castles have begun construction and hope for a late December/Early January opening. ICE CASTLES IS SET TO OPEN WEDNESDAY, JANUARY 23rd, 2019!!!! Tickets are on sale!! If you bought pre-sale tickets, you should have received an email to schedule a date/time. 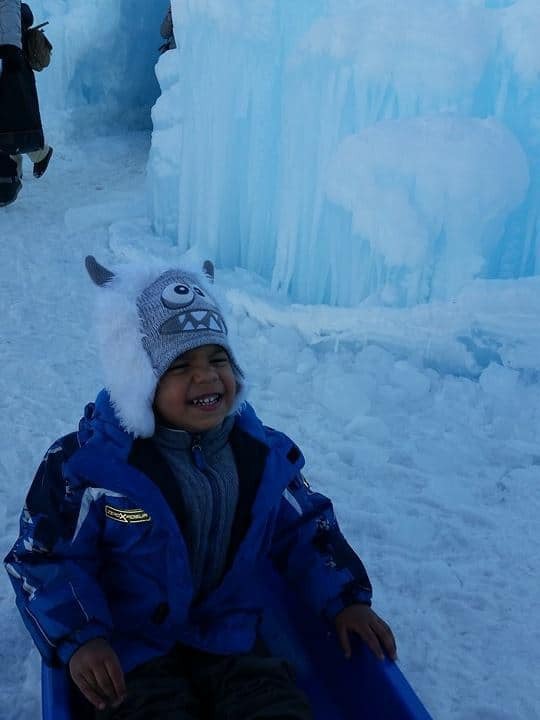 When you visit the Ice Castles in 2019, we’d love to see your family’s photos! So tag us on Instagram @lakecountryfamilyfun and use the hasthag #icecastles and #LoveLCFF. Ice Castles set to open on January 23rd. Tickets go on sale the 21st. If you ordered PRE-SALE tickets, you will have already received a code in your email. Note: Pre-sale ticket holders have 48 hours to book tickets before tickets go on sale to the public. For communication right to your email, sign up for Lake Country Family Fun’s newsletter and subscribe to Ice Castles information by going here and click the purple box on right that says, “Stayed Updated!” It is very important to remember that Ice Castles is a totally weather-dependent attraction and may close based on conditions various days. Ice Castles are located at 812 Wrigley Street in Lake Geneva on the shores of Lake Geneva! From Pewaukee, it took me about 50 minutes to get there the other day. Metered parking is available along the beachfront. Metered parking and parking lots are free from November 15 – February. Additional free parking is located several blocks in on smaller side streets. Bring boots! NO joke! I saw a lady in heels. I almost jokingly asked if she’d worn them as ice picks – ha! Boots all around. It’s cold, icy and wet. Make a day, night or weekend of it! Stay at THE Ridge with your family or the Inns with a group. Details and deal info here. Don’t bring a stroller, instead opt for a sled. Strollers will not work. Bring your own sled. 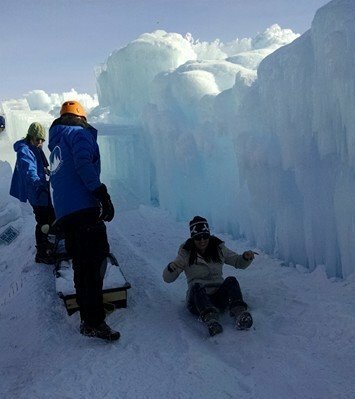 Ice Castles does not provide sleds for guests. Bring your camera. These make for some great photo ops. 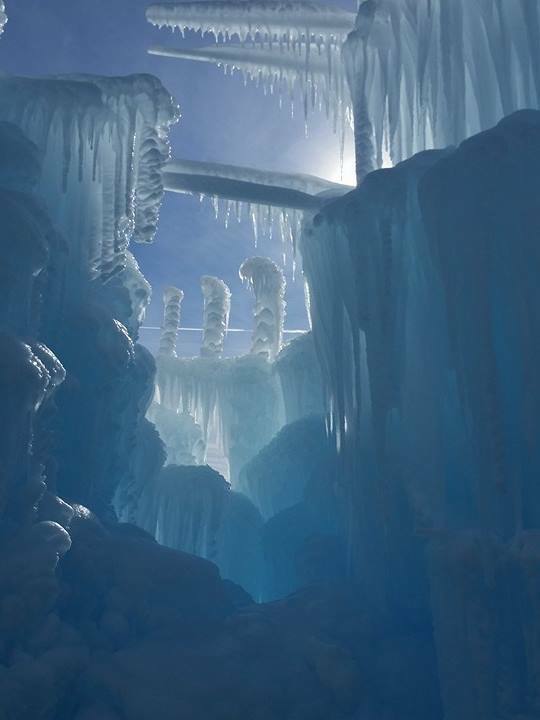 Post your photos to #icecastles (but leave your tripods at home). Buy tickets online to save money and then have them sent right to your phone so you don’t have to remember or waste paper. Check their FACEBOOK page before going. In case of warmer weather, they told me they may possibly need to shut down due to slush, but will be up and running when the temperature goes back down. Therefore, they suggest checking their Facebook page for updates related to weather. 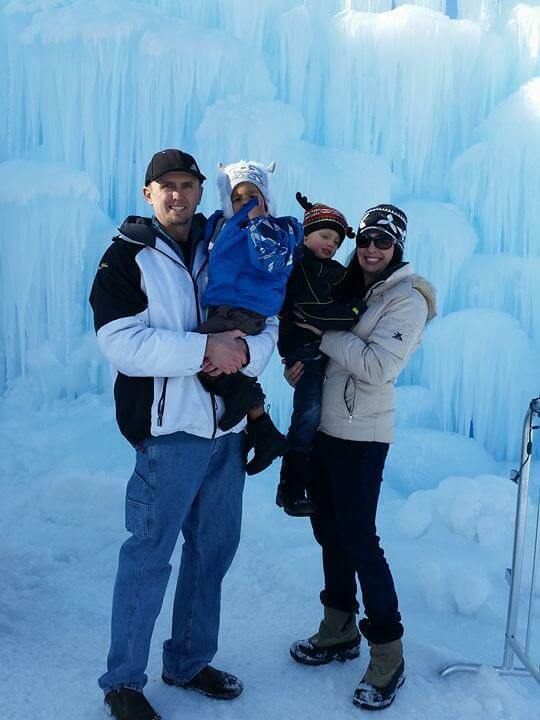 Lake Country Family Fun is excited to give away 2, family 4-packs of tickets to the Ice Castles in Lake Geneva. Additionally, one of those families will ALSO receive a COMPLIMENTARY one-night stay at The Ridge Hotel, $100 dining credit to Crafted Americana, and transportation to/from the Ice Castles – the Grand Prize! WOW! Many thanks to Ice Castles and The Ridge Hotel for the giveaway items. Enter your name and valid email address in the form below. *We will contact the winner via the email submitted. 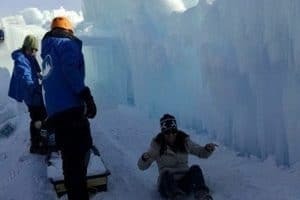 Be sure to comment on THIS FACEBOOK POST with 3 people you think would LOVE to experience the Ice Castles Lake Geneva. 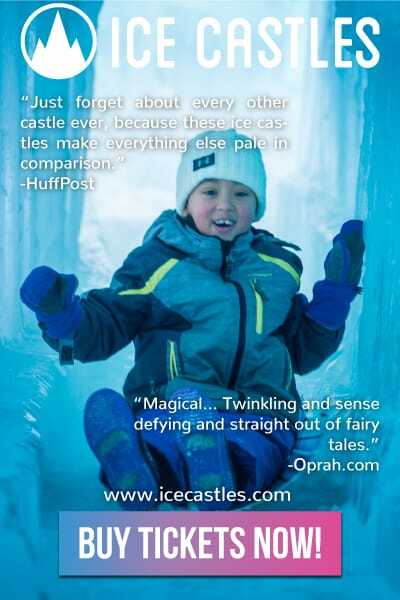 Be sure to LIKE the Ice Castles WI Facebook page and The Ridge Facebook page. Only one entry per person. Duplicate entries will be deleted. Congratulations to Marcus T. and Dawn B.!! 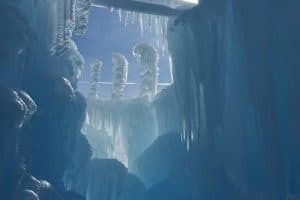 You can read more about The Ridge hotel here, including details how to book for your stay-cation when you visit the Ice Castles in Lake Geneva. Use #icecastles and #lovelcff when you visit so we can see your photos! Live from the Ice Castles! Comment and join the conversation on this Facebook Live here. 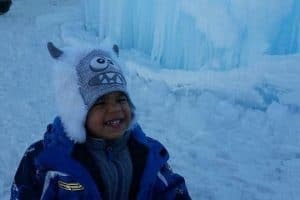 See our trip review for when we attended Ice Castles in Wisconsin Dells two year ago here. There are many tips for attending in this post. Lake Country Family Fun visited two Lake Geneva hotels – THE Ridge and the Inns in December/January. You can read our reviews here. If you want to make a stay-cation out of your visit, we highly recommend these hotels. The Inns is especially good for groups. THE Ridge is simply amazing and offers TONS to do (igloo experience, ice skating, Crafted Americana Restaurant and more). If you are just coming to town for the Ice Castles, the Ridge has an awesome coffee shop (Bean + Vine Coffee and Wine Bar) where you can grab a hot treat. Ice skating at the Ridge is also FREE if you bring your own skates (and you don’t have to be staying there to skate) or $7 to rent for non-hotel guests (for hotel guests, skate rental is complimentary). 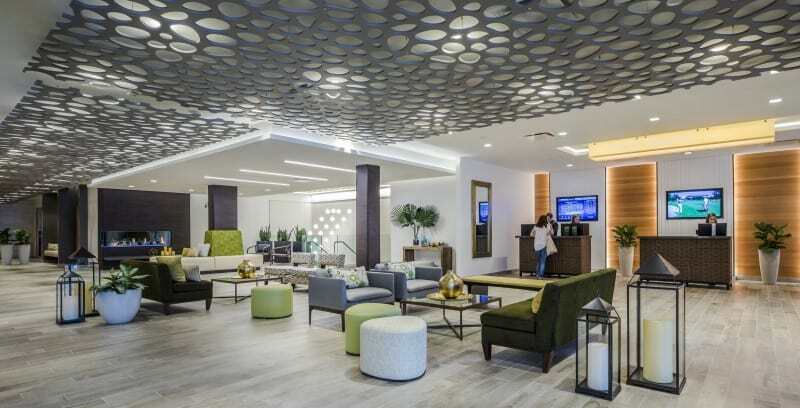 BOTH hotels are offering special deals for Lake Country Family Fun followers – so read more about those in our review article. Ice Castles weigh more than 25 million pounds! Ten thousand icicles are hand-placed every day. More than 1 million visitors since 2011. Ice Castles is made entirely of ice. Each Ice Castle takes more than 4,000 man hours to build. ***Prepaid ticket holders receive priority entrance before Standby. Standby Tickets are NOT guaranteed – you risk not being able to enter if you do not have a pre-paid ticket. Ice Castle Tickets: Ticket codes will be provided to the winning individuals. Code will be used to book online. Subject to availability. The Ridge Hotel: The prize package includes 1, one-night stay to be booked by 12/31/2018 for no a date no later than 2/1/2019. The hotel stay is subject to availability. The maximum number of persons in a room may not exceed four. Dinner at the Crafted Americana is included in the form of a $100 gift card. Shuttle transportation from the hotel to/from the Ice Castles will be available at the hotel for all guests. When will tickets for this go on sale? Can’t wait to experience this fun adventure. My 6 year old daughter, eight year old son and me! Will the ice castles in Lake Geneva be closed on Tuesdays? They are still adjusting their hours. It’s weather dependent. So much fun for a winter break activity!! !